Gastritis is a condition in which the stomach lining known as the mucosa is inflamed. 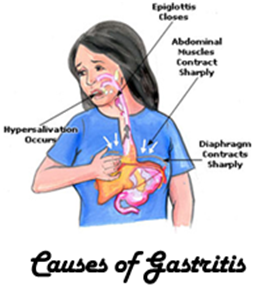 Gastritis may be of 2 types: acute or chronic. Sudden, severe inflammation of the stomach lining is called acute gastritis. 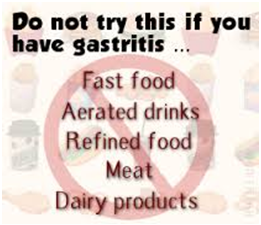 Inflammation that lasts for a long time is called chronic gastritis. If chronic gastritis is not treated, it may last for years or even a lifetime. Chronic gastritis occurs in two out of every 10,000 people, whereas acute gastritis is more common, occurring in eight out of every 1,000 people. 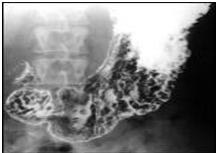 Upper gastrointestinal (GI) series (Barium Meal): The patient swallows barium, a liquid contrast material that makes the digestive tract visible in an x ray. X-ray images may show changes in the stomach lining, such as erosions or ulcers. Blood test: The doctor may check for anaemia, a condition in which the blood's iron-rich substance called haemoglobin is diminished. Anaemia may be a sign of chronic bleeding in the stomach. Stool test: This test checks for the presence of blood in the stool, another sign of bleeding in the stomach. Tests for H. pylori infection. The doctor may test a patient's breath, blood, or stool for signs of infection. Who is at higher risk of Gastritis? 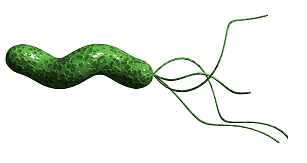 Bacterial infection: Helicobacter pylori is among the most common worldwide human infections, only some infected people develop gastritis or a similar stomach disorder. Regular use of pain relievers (NSAID). 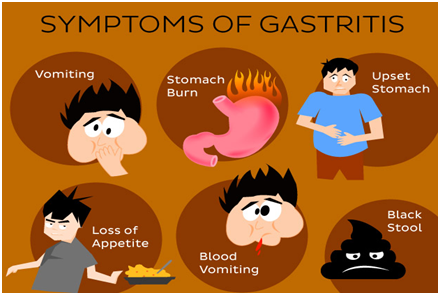 Severe stress due to major surgery, injury, burns or severe infections can cause acute gastritis. Other diseases and conditions like HIV/AIDS, Crohn's disease and parasitic infections. Most forms of chronic nonspecific gastritis do not cause symptoms. However, chronic gastritis is a risk factor for peptic ulcer disease, gastric polyps, and gastric tumors. Some people with chronic H. pylori gastritis may develop atrophic gastritis. Antibiotic medications to kill H. pylori. Medications that block acid production and promote healing, like Proton pump inhibitors reduce acid by blocking the action of the parts of cells that produce acid. Medications to reduce acid production. Acid blockers also called Histamine (H-2) blockers. Antacids that neutralize stomach acid. 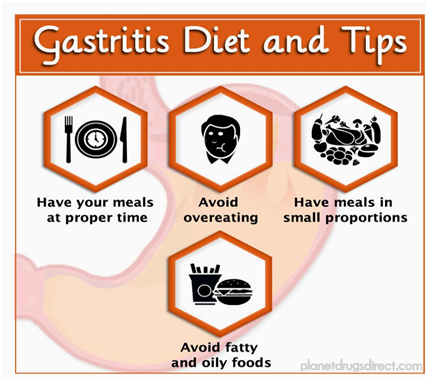 See your doctor if you have signs and symptoms of gastritis for a week or longer. Tell your doctor if your stomach discomfort occurs after taking prescription or over-the-counter drugs, especially aspirin or other pain relievers. Be aware of pre-appointment restrictions. 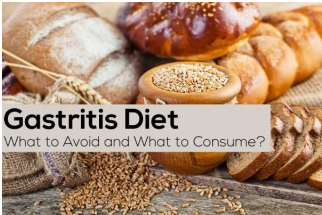 When you make the appointment with your doctor for the complain of your gastritis , ask if there's anything you need to do in advance, such as restrict your diet for that particular day. Write down symptoms you're experiencing, including any that may seem unrelated to the reason for which you scheduled the appointment with your doctor. Consider taking someone along. Someone who accompanies you may remember something that you missed or forgot. Could any of my medications be causing my condition? What will determine whether I should schedule a follow-up visit? How severe are your symptoms? Would you describe your stomach pain as mildly uncomfortable or burning? Have your symptoms been constant or occasional? Does anything, such as eating certain foods, seem to worsen your symptoms? Does anything, such as eating certain foods or taking antacids, seem to improve your symptoms? Do you experience any nausea or vomiting? How often do you take pain relievers, such as Aspirin, Ibuprofen or Naproxen? How often do you drink alcohol, and how much do you drink? How would you rate your stress level? Have you noticed any black stools or blood in your stool? Have you ever had an ulcer? X-ray of your upper digestive system. 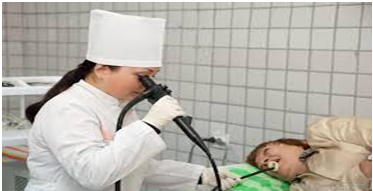 Using a scope to examine your upper digestive system (endoscopy). Walking is a good option, as are social activities like ballroom dancing. As you lose weight and gain some heartburn relief, you can try higher-impact activities. Do a combination of cardio, anaerobic, strengthening and stretching exercises. Maintaining a healthy weight and stamina are essential to fight infections and other chronic diseases like diabetes, heart disease etc. Any rigorous physical activity for 30 min daily is great for your mental and physical well-being. Drink plenty of water before and after exercise to wash out toxins and keep hydrated. Choose a healthy diet. Choose a healthy diet full of fruits, vegetables and whole grains. Eat smaller, more-frequent meals. If you experience frequent indigestion, try eating several small meals instead of three large ones whenever you can. Avoid irritating foods. Avoid foods that irritate your stomach, especially those that are spicy, acidic, fried or fatty. Consider switching pain relievers: If you use pain relievers regularly, ask your doctors whether acetaminophen (Tylenol, others) may be an option for you. Control stress: Stress may make your gastritis symptoms worse. Stress may be hard to avoid, but you can learn to cope with it. 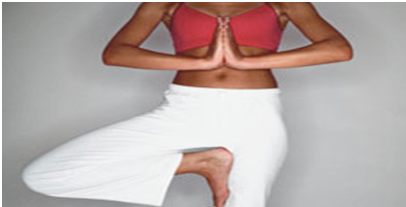 If you have trouble relaxing, consider calming activities, such as meditation, yoga or tai chi. Don't smoke. Smoking may interfere with the protective lining of the stomach, and increases stomach acid. Nutritious, non-spicy diet can help eliminate the symptoms of gastritis and acid reflux. High fiber diet: Research study at the Harvard School of Public Health found that high fiber diets are associated with reduced risk of developing gastritis and ulcers. Food sources of soluble fiber (oats, legumes, barley, certain fruits and vegetables) were especially protective, resulting in a 60 percent lower risk in this group. Diets high in vitamin A: In the same Harvard study, total vitamin A intake (from food and supplements) was associated with lower risk. 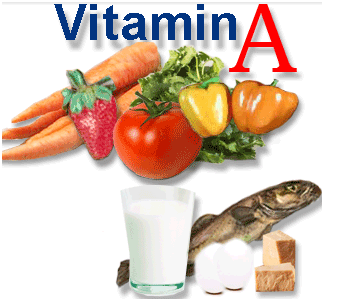 The risk was 54 percent lower among persons consuming the most vitamin A, compared with those consuming the least. Glutamine Help Gastritis: One of the most abundant amino acids in the body, glutamine can be taken as a nutritional supplement or consumed through the diet. It will be very much helpful in reducing your gastritis. 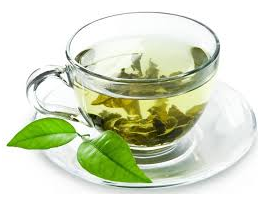 Green tea: Several studies show that regular green tea consumption is associated with a 40 to 50 percent lower risk for gastritis. Cellular tests suggest that the catechins in green tea may act as antioxidants and antibacterials to suppress the H. pylori bacteria. Avoiding alcohol: The relationship between alcohol and gastritis and ulcers is complex and may be related to the amounts consumed. 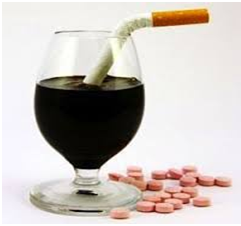 Chronic alcohol abuse favors H. pylori infection and also slows the rate of healing in existing ulcers. Eating manners: Eat in a leisurely manner in a calm, relaxed atmosphere. Chew and swallow food slowly. Do not eat within two hours of bedtime. Chew food thoroughly. Omit any particular food that causes discomfort. Use antacids as needed. Keep in mind that magnesium-containing antacids can cause diarrhea.